Teach your child to see the “good” in every situation. So many times it’s easier for our kids to focus on the negative during a hard time in their lives. I think if we are honest as parents we would have to admit the same is true for us! Our oldest son Josh was complaining that he was having a hard time time going to sleep and he wished he could fall asleep right away like his younger brother. They were sleeping together on this night and Josh didn’t want to be awake in the dark after his younger brother had fallen asleep. I tried to help him see the positive in the situation. For example, be grateful that he even had a brother to sleep with. I told him that God made each one of us different and maybe he had a difficult time falling asleep because he needed to pray for someone. Train them to see there might be something else going on in God’s reality that they can’t see or even understand. I don’t know about you, but at bedtime, I’m just ready for everyone to fall right to sleep so I can get some rest! I’d encourage you though to take a little extra time at night to put a positive spin on the “bedtime blues”. 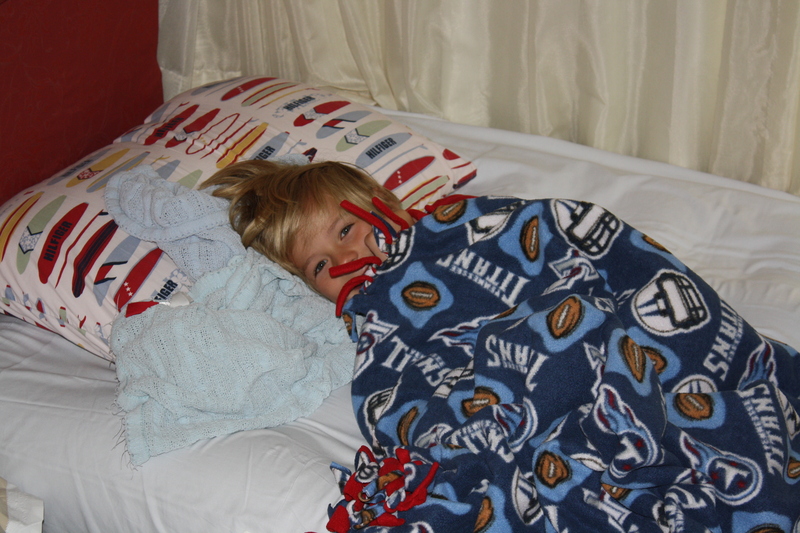 What have you tried when your child has a tough time falling asleep at night? Oh the memories. Remember when my blanket was stolen out the back of your truck! You are a precious lady!